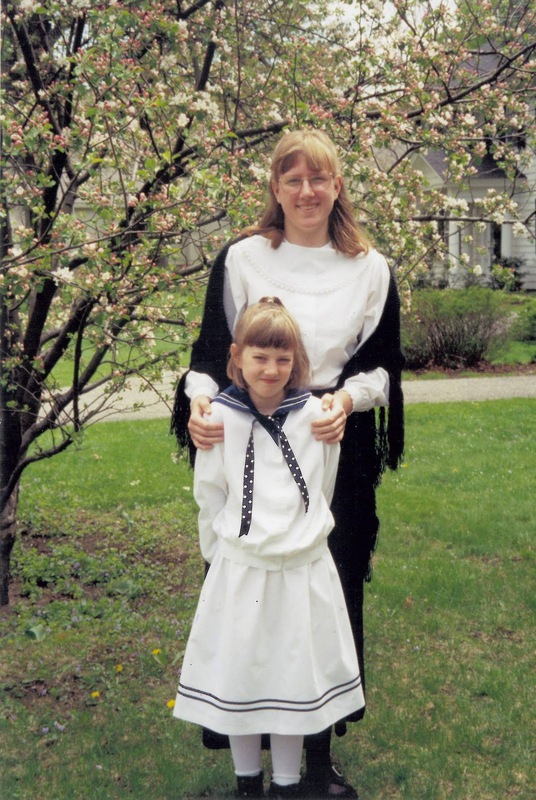 Long ago, when I was twelve — almost eighteen years to be exact! 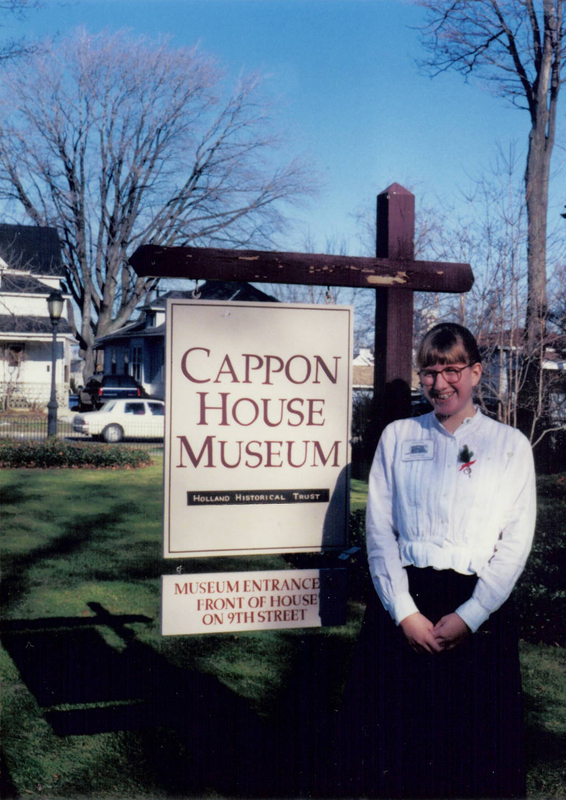 — I became the youngest volunteer docent (tour guide) at my hometown’s Cappon House Museum. Yes, braces, bangs and all. The Cappon House is the historic home of Holland, Michigan’s first mayor, Isaac Cappon, his first and second wives, and their sixteen children (when I was twelve I loved the bit about the children; today I still do, though for slightly different reasons — lessons in birth control anyone??). Over the next few years I gave countless tours to senior citizens groups, schoolchildren, and tourists, eventually expanding my responsibilities to include duties at the Holland Museum as well. By my mid teens I was torn between the childhood desire to become a bookshop owner and novelist or my newfound passion for the field of museum studies and history. Luckily, I’ve found a way to combine these vocational yearnings of mine: reference librarianship in the world of rare books and manuscript collections. Most of you are aware that since shortly after moving to Boston in August of 2007 I have worked as part of the Library Reader Services Staff of the Massachusetts Historical Society, an independent research library and (our docents like to inform our visitors) the oldest historical society in the Western Hemisphere, founded in 1791. For the past three years I’ve worked part-time as a Library Assistant, though my pre-professional status has hardly kept my colleagues from embracing me as part of the team.They’ve been a wonderful group of folks to work with and have contributed to my education as a library student and historian as much as, if not more than, my formal studies. As of January 1st, the departure of one of those colleagues for a new position at LibraryThing.com is leaving a full-time Assistant Reference Librarian position open which I have been invited to fill. I’m excited to be taking on new responsibilities as well as (hopefully) finding a bit of time to continue developing my knowledge of the collections through the lens of my own particular scholarly interests — watch for a new “object of the month” post in February on the intersection of antifeminism, the red scare, and religion during the 1920s. Running the risk of sounding like Brian Hawkins in Tales of the City (“Ring a bell and I’ll feel guilty for weeks!”), unexpectedly finding myself offered full-time employment in this economy — when I’d been steeling myself for a long, grueling job search this coming year — leaves me with complicated feelings. I’m relieved about the financial security, obviously, and excited about the work I’ll be doing. At the same time, I’m acutely aware that many folks with similar resumes and educational background are not in such a privileged position, including many of my fellow graduates from the History/Archives program at Simmons. And I’m not comfortable assuming or accepting that the opportunity I’ve been offered is somehow a one-to-one correlation with my personal accomplishments and abilities. Not that I believe I’m unqualified for the job — I just know many people who are qualified for useful and interesting work are struggling to find it. So look for a “part two” to this blog post in the near future, with some musings about what it means (to me) to be hired during a recession. In the meantime, long live librarians: the recognized and the unrecognized, the well-rewarded and the under- or unemployed. I am proud to count myself among your number. I do try to remind myself that feeling guilty for having a job when so many others don't isn't very productive–I got lucky, just like I get lucky every time I cross the street without being run down by a taxi (in that I was privileged enough to know when to cross the street for maximum safety, and also happened to not b in the way of a driver breaking the traffic laws of NYC). I've figured out that the best thing to do is to work hard, save wisely, and vote for the people who aren't trying kick the unemployed when they are down. As you say, there's a difference between feeling guilty for being socially privileged (not very useful) and taking responsibility to do what you can to ensure the situation isn't perpetuated (hopefully much more useful). It's my plan to try and figure out how to do the latter rather than wallow in the former! A friend on tumblr posted a really pithy quote about how listing off your privilege is really just another kind of privelege, and what people that have it really need to do is shut up and listen and lend a hand when asked. I dig that. Hooray for having an income! Congratulations, Anna–I know what you mean about the murky stuff but am pleased as punch for you nonetheless. Congratulations, Ms. Librarian! Murkiness and all. Anna, Congratulations on your job.Lyn and I are happy for you.All the Cook kids safely employed. Whew!. And such interesting jobs! P.S. Anna, I read your blog frequently, even though I don't write.